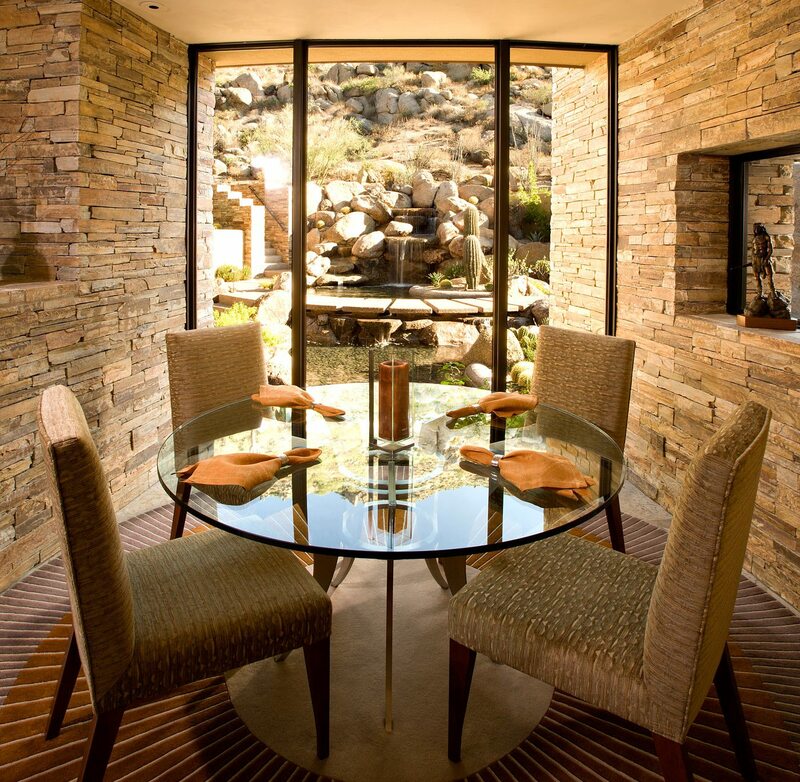 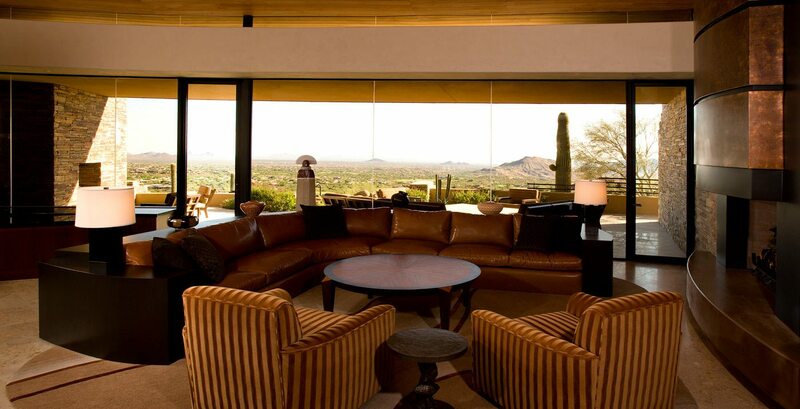 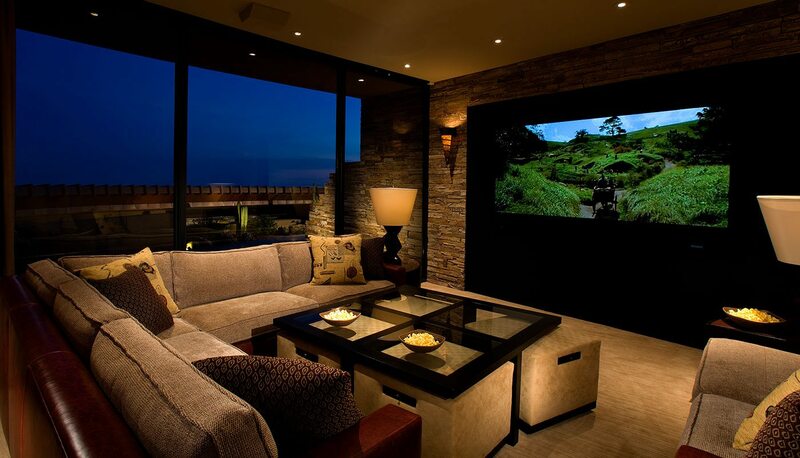 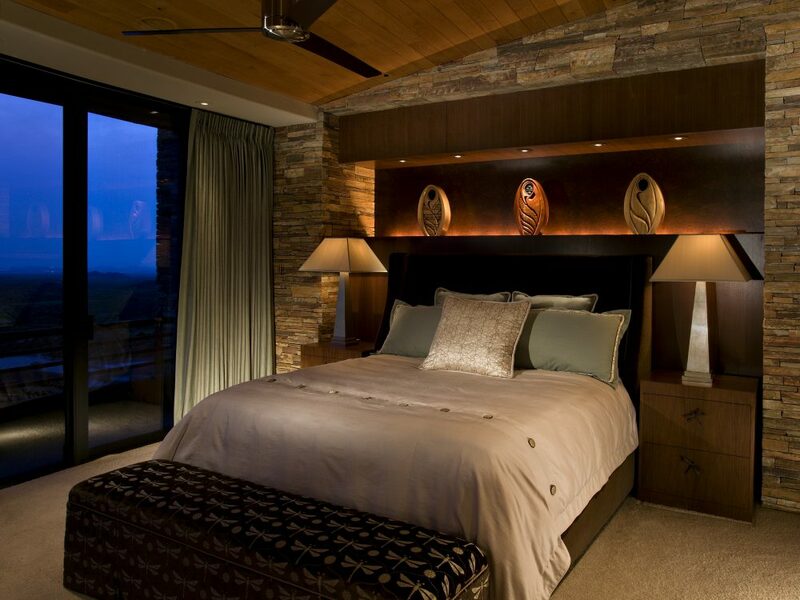 Perched on the side of a mountain in far North Scottsdale, Arizona, this Southwestern interior design home features many exterior curved walls covered in gorgeous quartzite ledgestone, which embrace the inside-out Arizona lifestyle when they continue to the interior of the home to become part of the overall architectural design theme. 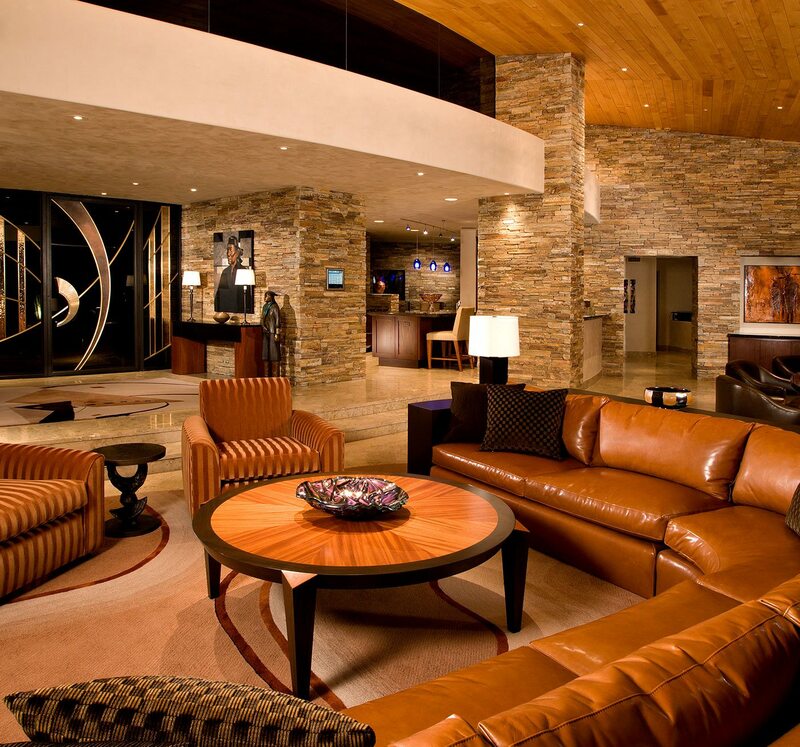 The radius lines call for a unique style of furnishing, because sharp right angles are at odds with spaces formed of curves. 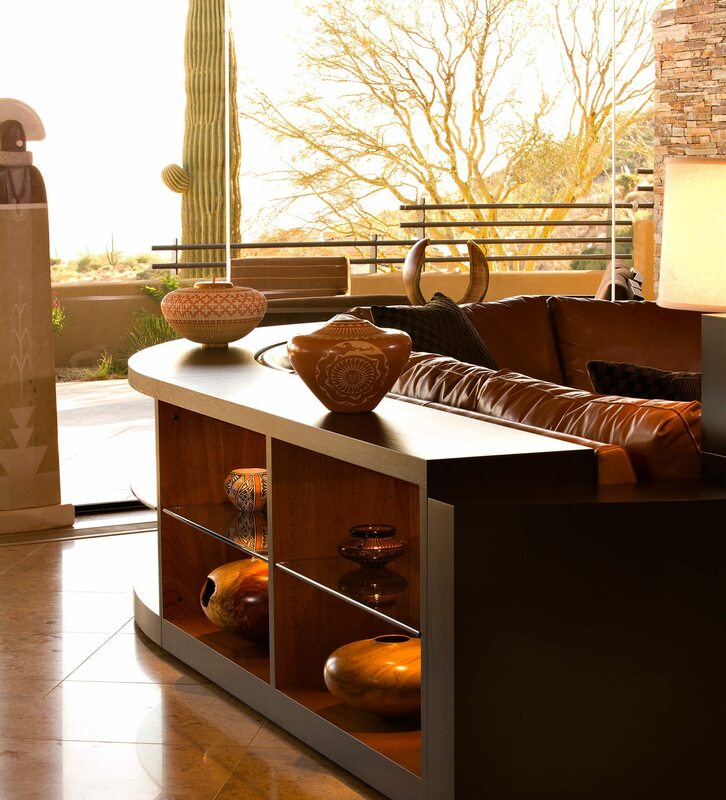 A blended use of angles and curves, found in area rugs, stair railings, bathtub decks and furnishings brings the Southwestern interior design together in a meaningful way.